Did the family want to move to a bigger city? 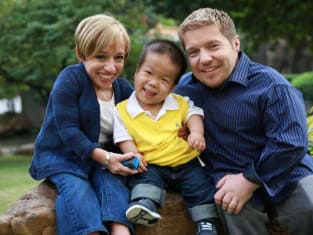 That was addressed on The Little Couple Season 11 Episode 5 when they made their way to Washington, D.C. to host an adoption gala that put them in the spotlight. They also embarked on a trip to Mount Vernon, and it made them question their place in Houston. Also, Zoe's birthday party was initially a success, but a fight over food threatened to ruin all of the fun. Use the video above to watch The Little Couple online right here via TV Fanatic. Get caught up on all of the excitement right now!